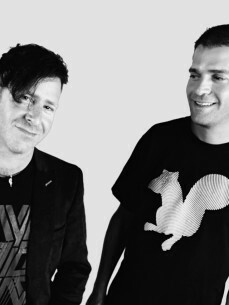 A shared passion for music brought Gabriel & Dresden together after a chance meeting on a Miami rooftop during the Winter Music Conference in 2001. As a duo, the two fit like some kind of creative yin and yang, quickly rising to the top of the electronic music genre and winning the coveted "Best American DJ" prize twice by the International Dance Music Awards (IDMAs) as well as creating a dominating string of timeless hit songs and remixes in the studio. Conjuring an artful amalgam of trance, techno, house and pop that transformed the landscape of 21st century EDM; Josh Gabriel, with his formal training in music composition from California Institute for the Arts and the Netherlands' Institute of Sonology, and Dave Dresden, with an esteemed club DJ career that included work as a Billboard club chart reporter, music director for a prominent online radio station, and a curator for the legendary Pete Tong's Essential Selection, struck a genuine synergy that captivated listeners around the world.